Shooting attack on Israeli car in Gush Etzion region south of Jerusalem. No injuries reported. Terrorists operating in the Gush Etzion region south of Jerusalem opened fire on an Israeli vehicle Sunday evening, an IDF spokesperson said. 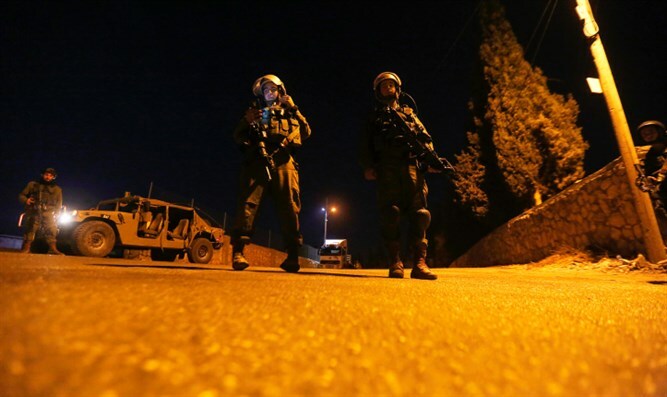 The incident occurred near the Israeli community of Migdal Oz, southwest of Bethlehem. According to an IDF spokesperson, the terrorists opened fire on the passing vehicle, but apparently failed to hit the target. No injuries or damage were reported in the attack. Israeli security personnel are now combing the area for the attackers. On Saturday night, an Arab terrorist ran down three Israeli soldiers with a truck outside of Beitar Illit near Gush Etzion. The three soldiers suffered light injuries in the attack. The terrorist fled the scene by foot, but later turned himself in to authorities.